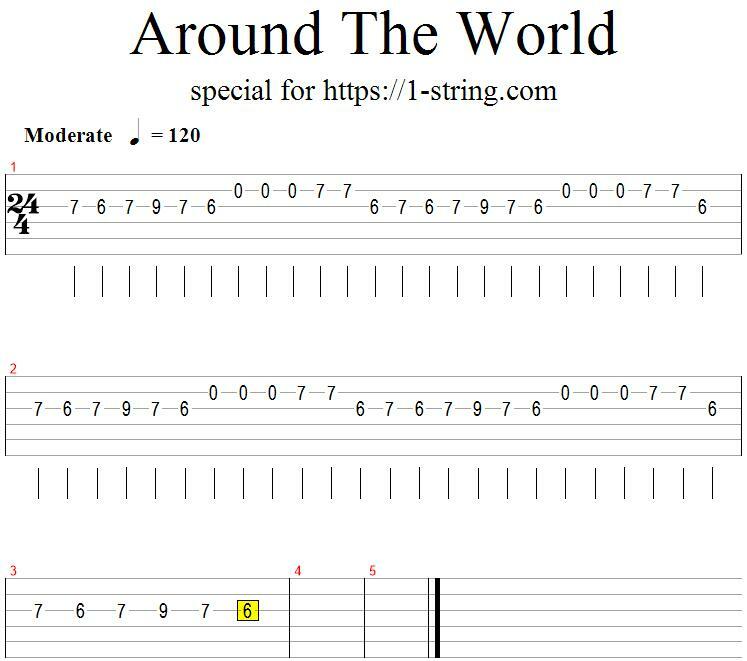 In this lesson I show you how to play Around The World on one guitar string. I sure you heard the main theme of this song! The original name of this song is ATC – Around the World, but I decided to make tabs for it because in the end of 2018 appeared a new song with this theme – Mount, Noize Generation – Around the world and took the first lines in SHAZAM list. Play on the “D” and “B” string. The speed of playing is pretty fast so I think you should practice it more!